“Leave the light on!” – this is the constant refrain at my place around bedtime. Of course, my kids would prefer I leave the ceiling light on (so much easier to get out of bed and rummage through their stuff, you see) – but I’m pretty sure I could sell them on a night light like this one too – and frankly, I think it’s just beautiful. 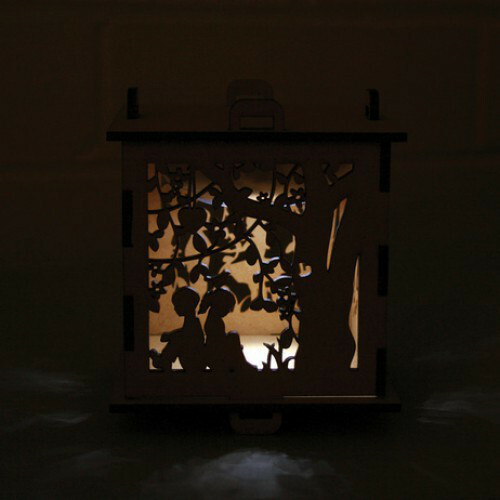 This is the Little Love night light from By Sage Design, and just a glance tells me it would be a hit with my daughters. 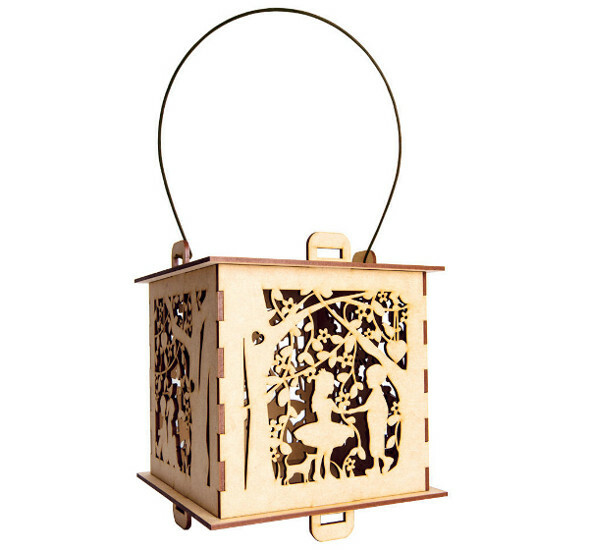 My children can’t get enough of anything that projects an image or reflection on the wall, and this lamp’s simple MDF cutouts do it while also looking gorgeous. The sweet design of friends in the woods is perfect for a child’s room, and each side depicts a slightly different scene so children can get involved in telling their own bedtime stories. It’s an LED powered lamp and requires batteries, so stock up on rechargeables if (like at my house) your kids intend to keep it on for as much of the day as they can get away with. Pick up the Little Love night light from The Christening Gift Shop for $38.95.